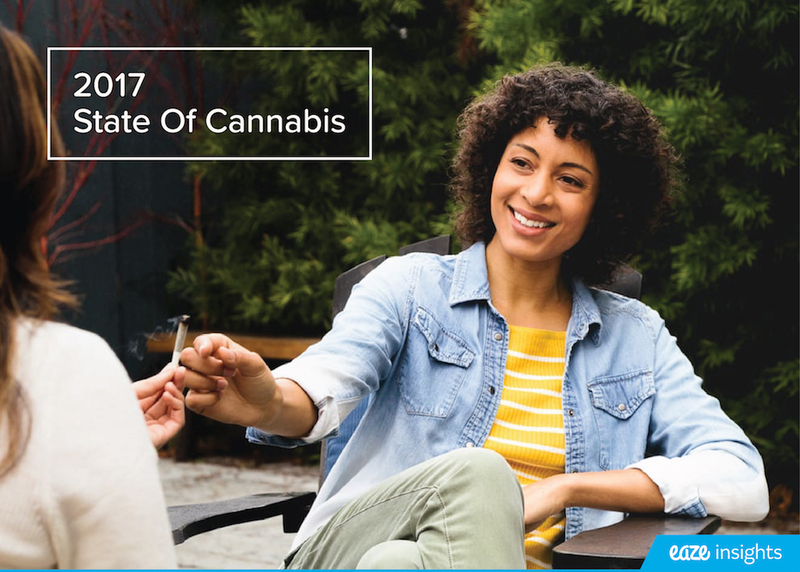 Eaze, the leading marijuana technology company, today released itsEaze Insights: 2017 State of Cannabisdata report, a comprehensive overview of consumer trends driving the marijuana industry year over year. The report, which draws insights from the user behavior of more than 350,000 Eaze consumers and 15,000 survey respondents across the state of California, reveals that 2017 was a landmark year for marijuana acceptance and normalization. With the knowledge that adult use would be legal at the start of 2018, consumers set aside preconceived stigmas and became increasingly comfortable using marijuana to enhance their everyday lives - whether to sleep better or celebrate popular holidays. In anticipation of this demand, Eaze added several brands to its platform so consumers could conveniently select from a wide variety of products to meet their needs. Marijuana's going mainstream:In 2017, marijuana was ordered via the Eaze platform every 10 seconds, a 200 percent increase from the frequency of deliveries in 2016 (every 30 seconds). Marijuana's increasingly popular among Baby Boomers:The number of Baby Boomers ordering marijuana increased by 19 percent annually, the highest of any generation. Vaporizers and edibles are most popular among Millennials, while tinctures are most popular among Baby Boomers. Inauguration Day sales spiked:On Inauguration Day, sales increased 21 percent, making it the seventh most popular holiday for ordering cannabis, more than Cinco De Mayo, Memorial Day weekend, and Mother's Day. Other popular days? Three-day weekends like President's Day and 4th of July, which ranked as the third and sixth most popular delivery days, respectively. Convenient marijuana products will win out:The modern day consumer favors ready-to-use, convenient consumption methods like vaporizers, edibles, and prerolls. In the past year, vaporizer sales increased 191 percent and preroll sales increased 267 percent. Flower sales, on the other hand, are wilting, having dropped 43 percent over the past year. A wellness solution:Consumers are reportedly turning to marijuana as a wellness product for things like sleeplessness, anxiety, joint pain, and other ailments. In fact, 45 percent of survey respondents replaced sleeping pills with marijuana. "This year's State of Cannabis report reveals a turning point in the industry toward mainstream acceptance. After Californians voted for adult use in November 2016, many consumers shifted their mindset and became more open to using cannabis to improve their everyday lives," said Jim Patterson, CEO of Eaze. "Americans are becoming better educated about the wellness benefits offered by cannabis. As prohibition ends and a new era of marijuana emerges in 2018, we'll see increased awareness drive diverse product adoption among new groups of people and continue to change lives for the better." In 2018, Eaze will remain committed to educating both new and existing customers about the benefits of marijuana and the innovative products available to them. Educational resources such as theEaze Beginner's Guidewill provide an easy entry point for consumers looking to familiarize themselves and discover what's best for their needs. 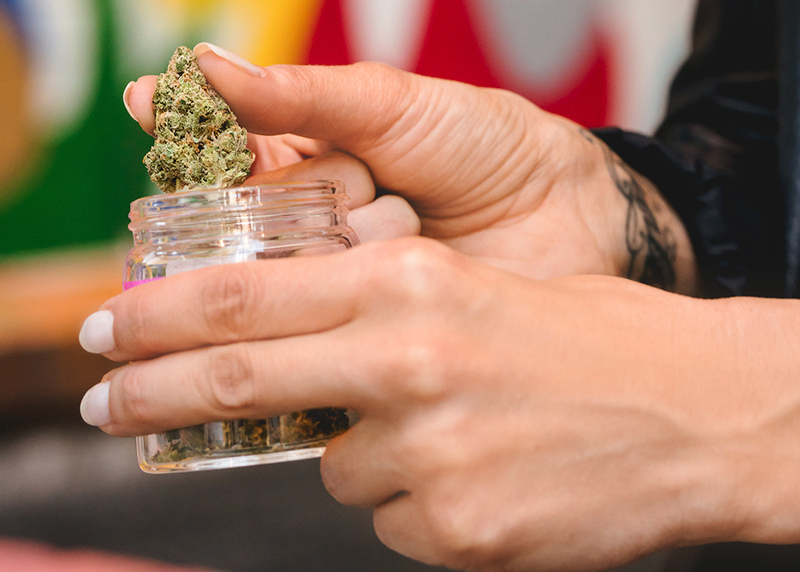 Eaze will also continue to expand its curated menu of high-quality products to ensure adults of all marijuana experience levels have access to the items that best suit their wellness needs. Other insights from the report include the most popular marijuana strains, trends in different cities across the state, and the significant expansion of the number of products available on the Eaze platform. The full report can be foundhere. Eaze, the leading cannabis technology company, is on a mission to help people enjoy the moment through convenient access to high-quality marijuana products. Founded in 2014, the company's technology enables superior customer choice and convenience by connecting product brands, dispensaries and doctors to customers on demand. With more than 350,000 users in California, Eaze has unprecedented access to big data regarding cannabis market trends and consumer preferences, which it shares with industry and media partners through its Eaze Insights Program. Learn more atwww.eaze.com.